As a general note of interest, I’ve updated a few things on the site today. First, I’ve added several bits to the FAQ, to update the references to Vengeance of the Hunter, to add references to Victory of the Hawk, and to clarify what genres I write in and what other authors are useful to compare me to. Also, for giggles, I’ve added in a bit about this whole Quebecois trad thing I can’t shut up about, the Trilingual Hobbit Reread, and what other things you can expect me to start posting about once the Rebels of Adalonia trilogy is done. 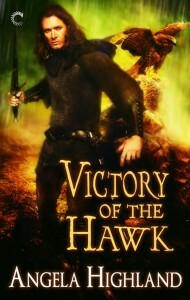 Secondly, I’ve activated pages for both Victory of the Hawk and Bone Walker. Both are pretty bare-bones at this point, but they ARE the official sources of data for both of these books. Watch them for further updates. You’ll be able to find both of these books on the site’s Books menu now. Third, the Rebels of Adalonia page has been updated to include Victory‘s official release date of April 6, 2015.